Far from being another “how-to” book on protection, it is more of a “why-to”. Principal Protection; Lessons Learned goes far beyond the reactionary skills highlighted in other texts, and provides the reader/practitioner with a wealth of applicable information and knowledge that has been acquired through the experience of protection professionals for several millennia. Rick Colliver has served as the security director for two NYSE-listed global corporations. He has managed security operations in 24 time zones, and protection details in Europe, Africa, Asia and the Americas. He is the course developer and lead instructor in the Principal Protection program at the Ohio Peace Officer Training Academy and is an adjunct instructor in protective operations through several police, military and academic organizations, including the distinguished Executive Security International. 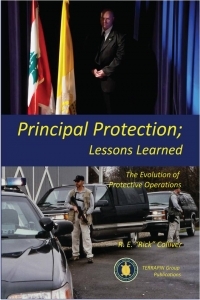 Rick is the author of Principal Protection; Lessons Learned (TERRAPIN Publications, 2011), which he reports, is not another “how-to” book on protection, but rather a “why-to”. 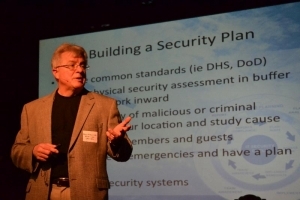 He is the co-author and narrator of School Safety and Security; An All-Hazards Approach (University of Findlay, 2002) and a contributing author to Gruber’s Physical and Technical Security; An Introduction (Thomson Delmar, 2005). A contributor to both online and print media, his articles can often be found at www.bodyguardcareers.com. Rick received his Bachelor’s degree in Criminology from The Ohio State University and has completed graduate work in Organizational Behavior through the University of Phoenix, and Crisis Management through the American Military University. He maintains his law enforcement credentials through the Cuyahoga County (Ohio) Sheriff’s Office, where he supports one of the top Principal Protection teams in the country. Since 2005, Rick has also served on the Public Health and the Critical Infrastructure Protection advisory committees for Ohio Homeland Security, Ohio Department of Public Safety. Throughout his career, he has held certifications as an OPOTA Instructor (1984), CPP (1988), CFE (1989), Rescue SCUBA Diver (1994), EMT (1995), and CHS III (2006). He maintains current certifications in Protective Operations Management (CPOM), and Dignitary and Executive Protection (CDEP), and he is an active member of Nine Lives Associates. 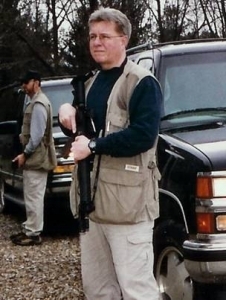 In addition to his training programs for corporate security and law enforcement audiences, Rick is an Ohio Concealed Carry Instructor with multiple certifications from the NRA, and is proud to be an Affiliate Instructor with John Farnam’s Defense Training International, with whom he has taugh such programs as Advanced Defensive Handgun, Defensive Firearms for Protection Specialists, Crisis Shooting, and Urban Rifle/Shotgun.